I recently discovered a website that lays out the rules for Spycraft 2.0 as a system reference document. Reality Blurs produces Agents of Oblivion. Have been doing so for some time. The first we heard of it was as one of the mini-settings that popped up with Green Ronin's True20. It later returned for the Savage Worlds system. Found some very nice support there. Reality Blurs announced an upcoming 3rd rendition for Agents of Oblivion. This time it appears the game will be powered by the same system as one of their other quite successful products- tremulus. 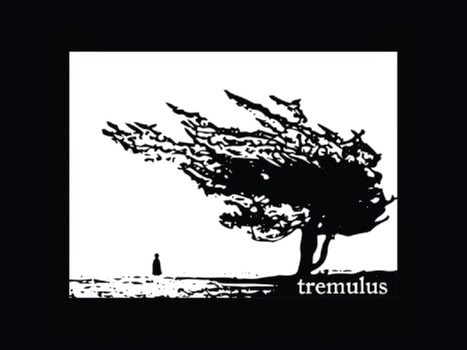 tremulus (spelled with a lower-case t) is a variant of the ever-more popular Apocalypse World Engine. Time marches ever onward, and I would like to make an announcement prior to the results of the ENnie awards. tremulus has been nominated for 5 ENnies and we’re proud, honored, and delighted. As I write these words, I note the ceremony is a handful of hours away, and rather than being there amongst friends, fans, and colleagues, I am in the Mad Lab working on the next thing. Something which both pleases and delights me to finally announce. Something I have quietly been working on (in those random bits of time here and there) while continuing to get new tremulus materials out the door, developing our upcoming fiction lines, and releasing new Savage Worlds settings into the wild. While I may have been largely quiet to you, I have continued to write. It is a need, a necessity, and something I imagine I would do whether eyes ever saw the words or not. And the support you have shown me and Reality Blurs over the years has been tremendous and humbling. Where I once wrote materials to be used once by my game group and then never revisited, I have been afforded the opportunity to share my visions with many people all across the world. Should I pause to reflect upon that, it would be rather scary and daunting, so here I sit, continuing to refine my craft, continuing to watch words trickle out of my fingers and out into the world, and whether we win or lose later on tonight, I want to thank each and every one of you for your support. And, yes, your criticisms. The latter drives me to reach ever inward to refine and improve the former, which gives me the energy and confidence to embrace each day before the keyboard and create. I am presently working on Agents of Oblivion: A Storytelling Game of Horror and Espionage. This is its third incarnation, having originally been one of the winners of the True20 Setting Search and an ENnie-nominated setting for Savage Worlds. I am proud of all the work that has gone before with this setting and fully intend to bring some of the lessons learned through the development of (and reaction to) tremulus coupled with the action and excitement inherent in the sandbox setting of Agents of Oblivion. First and foremost, this is a storytelling game. 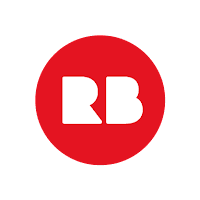 We are striving to make it the best expression of Agents of Oblivionto date, building everything geared for you to create your agent and face the horrors awaiting you. While you trembled when facing down abominations in tremulus, in Agents of Oblivion, you are the Agent, a once normal citizen, pulled into a dark world of nightmares, conspiracies, mystical madmen, rival organizations, and alien intrigues. Your responsibility? Prevent the world from falling forever into the ever-yawning abyss. 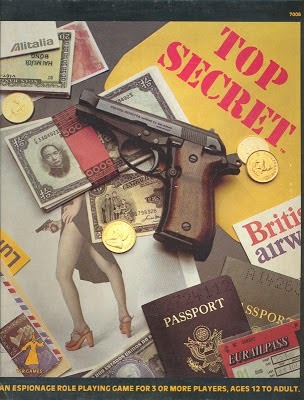 I love how the cover of Covert Ops: Operation: Burning Presidents resembles the covers of Top Secret and Top Secret/S.I. box sets. Operation: Burning Presidents was done by Eric Quigley. The Top Secret/S.I. photo work was done by Uldis Saule. Unforgettable. Labels: Covert Ops, Top Secret/S.I. 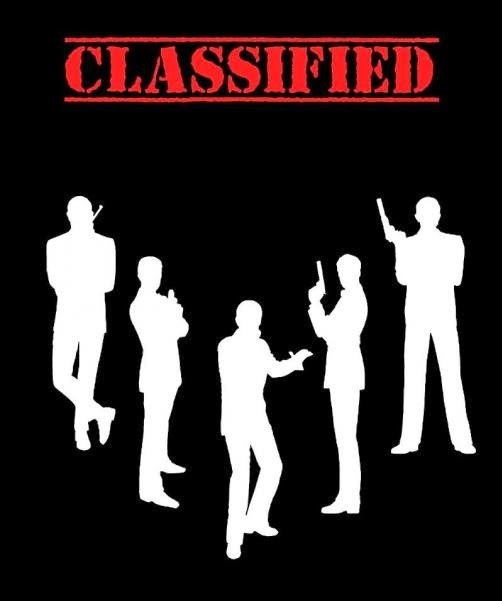 Classified is a d% based retro-clone of the James Bond 007 RPG from Victory Games from 1983. Here is a review of the game by Gary Brown. Disclaimer: I am a fan of Victory Games James Bond 007 RPG (1983). 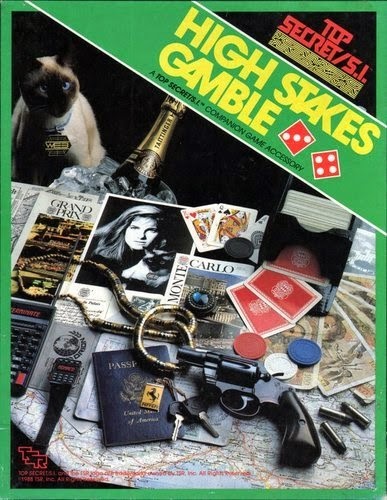 Over the years, I’ve often wondered why nobody had produced a second edition or even a retro-clone of the James Bond 007 RPG from the 80s. It was way ahead of it’s time in terms of genre emulation, featuring hero points to shift results in favor of the player characters including the creation of “lucky” narrative advantages such as a handy makeshift weapon or a passing vehicle that blocks an otherwise deadly shot. The game was built around a d100 core mechanic and it placed emphasis on skills that blended nicely with core characteristics (Intelligence, Strength, Perception, Dexterity, and Willpower). Skill rolls yielded results in five levels of quality to determine the effectiveness of the action or task. Weapons and equipment featured a satisfying amount of “crunch” – enough to be mechanically significant – but not so important as to overshadow good old player ingenuity or character skill. Skills – Areas of performance and expertise linked to core characteristics which make-up the heart of the character. Abilities – a sub-class of skills representing things that are common to the genre or setting. All abilities have a static rank of proficiency and do not increase over time. Fields of Experience – these represent informational areas of knowledge linked to the character’s former profession or history. Success rolls are not usually needed for fields of experience. Either you know it or you don’t. Today, many role-play gamers would balk at this system because it uses charts to determine levels of success, and *gulp* there is a multiplication table. How dreadful, right? I used to think that way too. In the past couple of decades, however, I’ve tried virtually every modern action RPG that has come along, but few of them ran as smoothly as the old James Bond RPG. I’ve also tried some other contemporary games such as Dogs of WAR, Agents of Oblivion, and Night’s Black Agents, but by comparison they lack the details and granularity that make skills, weapons, and gadgets an engaging aspect of spies and modern action. So… Classified. What is it? 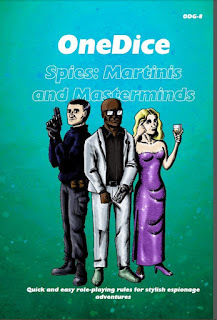 It is a retro-clone that faithfully updates the old James Bond RPG to today’s tech level. In the standards of Expeditious Retreat Press, Classified is to the Bond RPG what OSRIC is to AD&D. Backwards compatibility is the goal. Some terminology has changed, but the underlying foundation of the game is exactly the same. Ease Factor is Difficulty Factor. Quality Rating is now Success Quality. Primary Chance is now Base Chance. These changes were likely necessary for copyright purposes. Character creation points have essentially been reduced by a factor of 10. For instance, a rookie-level character is now built with a 300-point limit instead of 3000 points. The relative values and balance for skills and characteristics is about the same, so this was an “easy” change that just makes the numbers smaller across-the-board. Photography is no longer an Agent Ability. Makes sense. Digital photography and the ubiquity of phone-cameras has shifted things dramatically in 30 years. Language was added to the skill section. This was an interesting choice and it appears to be something that is not entirely settled in the rules. You might expect to find languages listed in the Fields of Experience section or as an Ability. Non-fluent language proficiency could even be rolled into the Local Customs skill. There is a Linguistics field of experience with a language benefit, so that is a logical approach for characters who want a foreign language as part of their backstory. Having the language skill is useful for characters who are investing experience to gain proficiency over the course of play. However, the sample NPCs in the back of the book have specific languages listed as abilities. Clearly this is a detail that is yet to be ironed-out. The changes to Combat, Chapter 7, are subtle. The author has done a nice job of reorganizing and clarifying the key rules. Mechanically, the biggest change I noticed involved replacing d6 rolls with d100 or d10. For example, draw situations are now a d100 roll, modified by +20 increments for a character’s Speed rating. Yes, weapon’s Draw modifiers may also apply. The Incapacitation wound level now differentiates unarmed damage from more severe weapon damage. The rules for thrown weapons have been clarified and expanded in a good way, eliminating the hand-waviness of the original rules. Overall, the core game stands up remarkably well, which is why a retro-clone is such a good thing in this case. What this old spy game really needed was an update and Classified definitely delivers in the hardware department. Chapter 10: Equipment, is 37 jam-packed pages of vehicles, gadgets, weapons, drugs/poisons, and accessories that literally bring the game into the 21st century. There are a few art pieces to break up the text, but this section is all about the tools of the spy trade. This chapter alone is worth the price of the book for anyone who still enjoys the original. Speaking of art, it is excellent. Classified RPG features all black and white art done in a style that perfectly captures the feel of the game and harkens back to the original. Fans of action movies will easily recognize the inspiration for many of the art pieces which are focused on characters in action. Presumably for the sake of space, Classified does not provide many weapon and gadget illustrations like you saw in the original core rules or the Q Manual. This is an understandable choice, since the internet puts images of these items at our fingertips. The writing style is somewhat clinical and that, I believe, is a good thing too. Classified is presented as a rulebook and a reference, although I should point out that this copy does not have an index. To be honest, with a smallish book and the improved organization of the rules, I don’t think it really needs one. The core of the game is under 100 pages, including the meaty equipment section! But the final 30 pages also provide solid resources and advice on how to write adventures, generate NPCs, encounters, and conduct a campaign. The author does show his creativity in Chapter 13, which details the villainous organization of Osiris – a nice collection of Bond-esque bad guys in the mold of SMERSH or SPECTRE. I would happily use this organization in my next campaign and I have hopes that Osiris will be involved in one of the upcoming modules. There are a few type-o’s in this pre-release copy, but the ones I noticed are mostly in tables or sub-headers. The body text is pretty tight at this point. There is an odd carry-over from the original game in the Damage Rank Chart. Damage Ranks I and J are identical, but this quirk has no real impact in play. This is like two different weapons doing 1d10 damage in D20 or 1d6+1 in Gumshoe or Dogs of WAR, but in Classified there are 11 distinct damage ranks which is significant in comparison to most other modern action RPGs. The long hibernation of the James Bond 007 RPG is about to end. Classified has resuscitated a great action hero system and updated it for contemporary missions. I am looking forward to seeing this game supported again and maybe expanded as well. The book already provides enough material to conduct a straight-up para-military campaign in the vein of The A Team or the The Expendables. 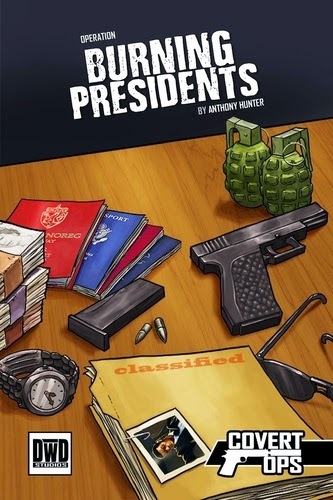 It would be great to see Classified as the core rules for weird investigation similar to Delta Green or X-Files or adapted to an action-horror setting akin to Apocalypse Prevention Inc or Night’s Black Agents. There are certainly plenty of options for modern action role-playing, but for me, dare I say… Nobody does it better… than Classified. Grab your Glock and a silencer. Your country needs you. Covert Ops is described as a barebones RPG of espionage and paramilitary operations. 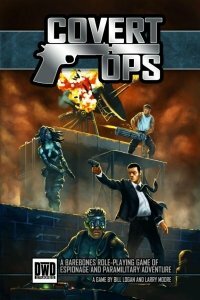 This review covers the Covert Ops Core Rulebook and the Covert Ops GM Operations Manual. Don’t judge a book by it’s logo. The cover artwork of the Core Rulebook is credited to Eric Quigley. It is a bit stiff portraying a collage of modern actions scenes poses rather than a snapshot or still-frame of an action scene. It feels conservative and safe, not striking or particularly memorable. The people are pretty cool looking and could be recognizable iconic characters. They seem to stand as examples of some of the most typical types of spies or agents. I like the GM Operation Manual’s cover more, however. It was simply one of the larger interior pieces, but with a solid blue overlay tint. This one is more like a comic book panel or a scene from an actual mission, etc. Covert Ops as a title is great. However, the logo on the covers is a bit bland. I feel the game could use a more striking font or usage of the titling. The first page with the credits and copyright info has the title in a rough print kind of font which I felt looked cooler and more appropriate than the metallic font style with rivets. NOTE- I happened upon a more updated version of the cover while writing this. Most of this opinion still stands, however. The interior artwork for both books are all black and white. The Core Rulebook’s artwork is exclusively done by Khairul Hisham who has a great eye for comic book action. Having one artist throughout the core book was very nice and solidly consistent, this works if the artist is good. In this product the artist delivers. The action and figure art is shaded dynamic, while the gear and weapon art is flat clip-art in design. The GM Operation Manual’s artwork seems collected from other sources and used with permission. There is an obvious range of styles and it does take away some of the quality established presented in the Core Rulebook. The books are presented in single column, lettering is easy to read with no background imagery. Each page has a nice clean header design labeling which chapter the reader is currently on with modern and easy to read fonts throughout. Each page’s footer labels which part of the chapter you are in, a detail I find nice in gaming books. There is not much, if any, wasted space. The artwork is laid out amongst the text nicely. DwD is expanding the usage of their d00Lite system first appearing in BareBones Fantasy roleplaying game. D10 are the only die type used. The core mechanics are percentile die rolls, rolling a target number or lower. Sometimes the rules call for several d10 dice summed up. Doubles are critical successes and fails, depending on the target number. Any reasonable action succeeds on a roll of 00-05, while a roll of 95-99 automatically fails. Streamlined simple. Other details of the rules are in line of what one would expect. The game is aiming for solidity more than clever mechanics and they achieved it. The d00Lite system uses a simple hitpoint style which they call BPs or Body Points. Usually half of the STR score. Characters have four attributes. 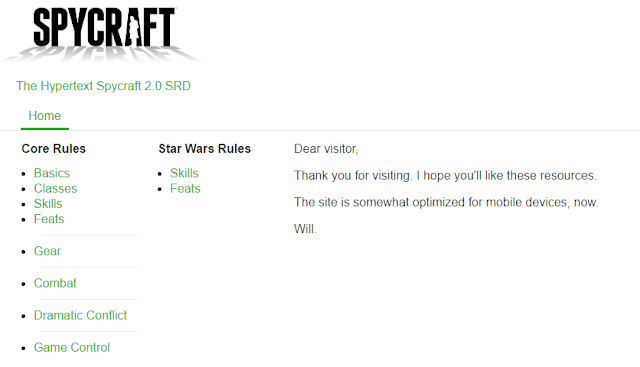 Generating stats options is rolling five d10 and adding 30 for each of them (STRength, DEXterity, LOGic, and WILlpower). There is a FUDGE/Fate kind of element in the character creations process. With Skills you can choose one as your primary talent, that one thing you do real well, and assign a +20 to that skill (or randomly roll for which skill), Then you get two secondary skills and assign +10 to each of them. The next step is come up with two Descriptors. These are phrases, etc (much like FATE’s aspects) that help define the character and provide opportunity for DP point rewards- development points are BareBones RPG experience points. There is a Moral Code system to help flesh out motivations and roleplaying, etc. and derivative formulas for movement, attacks and defence. There are Origin packages that give the character a defined direction as well as appropriate bonuses to certain skills. I am left with the impression that the system is pretty solid. One unique take the game has is there isn’t a typical universal list of Skills. The list appears more like a list of Careers or almost Character Classes, yet different than the above listed Origin packages. Each of these are broken down into more focused or specialized skills. The list is Academic, Detective, Leader, Martial Artist, Medic, Pilot, Scout, Soldier, Technician, and Thief. Each of these have a formula anchored to half of one of the attributes +10. Like this… Score: half DEX +10 per pilot level- as an example. It’s an interesting take and I don’t see why it wouldn’t work. Characters are given an equipment allowance which simplifies the paperwork of keeping track of funds and gear, but also prevents characters from gaining too much monetary resources, keeping the game balanced. In combat, characters are able to purchase Martial Manoeuvres. These are special moves or techniques that are really specialized Martial Artist skills. Presented on a random table if you wish, which was interesting. There is a chapter detailing the DPs for character development and making a base of operations. One detail in the DP dispersal checklist that I found kind of neat was there is a phase where one of the characters is rewarded DPs by vote. All the players have to vote for one of the other players (not their own) based on Style- (coolest moment of the session), and Brotherhood (which character demonstrated the most faith and sacrifice for the team). I liked that bit. The next chapter covers Action rules mainly for combat and other task resolutions. This is very straightforward, not attempting new gimicky dice mechanics. There are several tables provided for mission generation for the GM which look quite useful. Even a table for cool mission code names! Covert Ops is not necessarily a generic espionage RPG, there is a pretty nicely fleshed out setting included. The final chapters get into the details of the secret and epic battle between SECTOR and CITADEL. SECTOR, a mysterious international paramilitary and counter-espionage organization. This is the agency of the good guys secretly fighting the also secret forces of CITADEL. If you are familiar with TSR’s old Top Secret/S.I., you may recognize this as ORION vs WEB with the serial numbers thinly filed off. And this is not a negative thing at all. I loved that setting then, and I’m really digging this version, now. The part of the GM Operation Manual clearly defines each level of the Operative (the PC)’s Ability Scores. This may feel like it’s directed towards newer gamers, and it might be. But I think it’s a good move eliminating many questions that might exist. This is followed by several tables designed to determine an Operative’s Abilities, etc via random rolls. The GM’s Operation Manual is more of an optional rules book than a GM manual. It contains rules examples that really help define exactly what the Core book’s rules represent. It also contains a plethora of optional rules that could potentially add a lot of complexity, making it a very crunchy system. The optional rules expand nearly everything established in the Core Rulebook. It was a good idea to keep much of this separate. However, I feel the title is a bit confusing as all of the essential GM material is already in the Core Rulebook. The GM’s Operation Manual could more appropriately be called the GM’s Operation Options or something along those lines. It was a very good idea to keep this information separate from the Core Rulebook, in any case. I come away from this with a very solid confidence in using this game for running a modern day spy campaign. 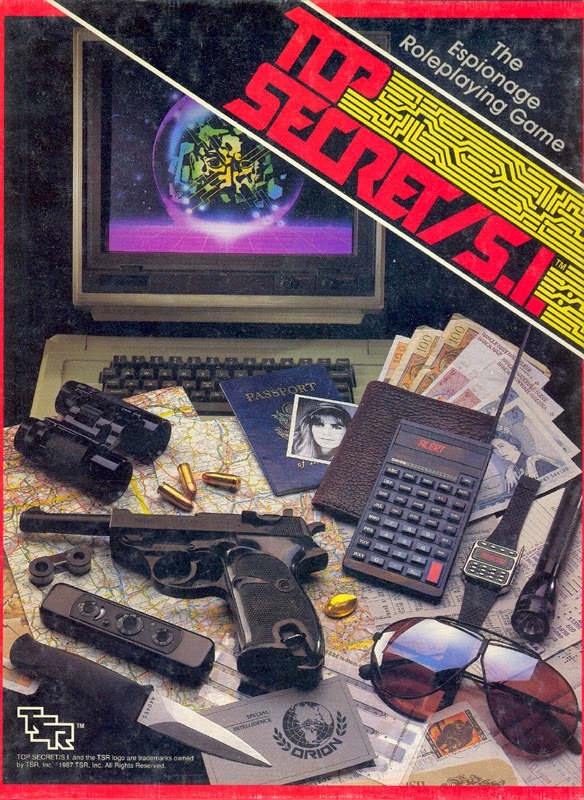 This fulfills a long-time hunger for anyone who was a fan of the two big percentile die espionage RPGs from the 1980′s (Top Secret/S.I. and James Bond 007, Roleplaying in Her Majesty’s Secret Service). I hope to see long lasting support for this line from DwD Studios. About DwD Studios: It helped me understand where this game was coming from when I discovered who was making it. DwD Studios are the folks who acquired permission from Wizards of the Coast to host the Star Frontiers RPG line on the web. They’ve done a fabulous job keeping that old game alive and creating new material for Star Frontiers. All with WotC’s blessing. A while back it appeared they may have attempted a similar venture with the Top Secret/S.I. line which didn’t seem to pan out. It is very likely many of the above comparisons and similarities of Covert Ops and Top Secret/S.I. are no coincidence at all. This marks my first game review for Modus Operandi (or for any website, actually). It was an enjoyable experience. I thank Dave McAlister for thinking of me for the job. Labels: Covert Ops, Modus Operandi, Top Secret/S.I. 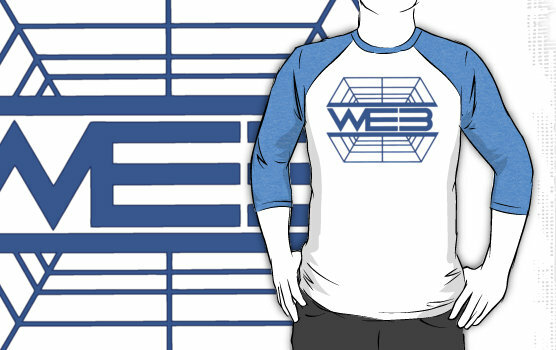 RedBubble is offering t-shirts with the Top Secret/S.I. the espionage agency logos. 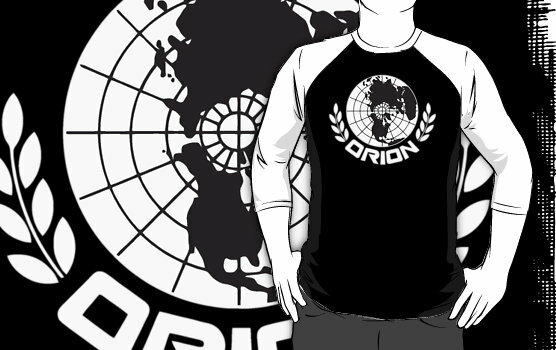 Labels: ORION vs WEB, RedBubble, Top Secret/S.I.